Seeing is believing when it come to the 90 kilometers (56 miles) of sand that make up the beaches of Rio that stretch from the Bay of Guanabara, in the east, to the Bay of Sepetiba, in the west. It doesn’t matter whether you are visiting Rio for four days or four years, you will find a good percentage of your time will be spent enjoying the beaches of Rio be it for sport, a barbecue, a business meeting, or just to catch the sun. Rio has many beaches and these should be the ones that interest you most, starting from Flamengo, in the Bay of Guanabara, and working west to Grumari. 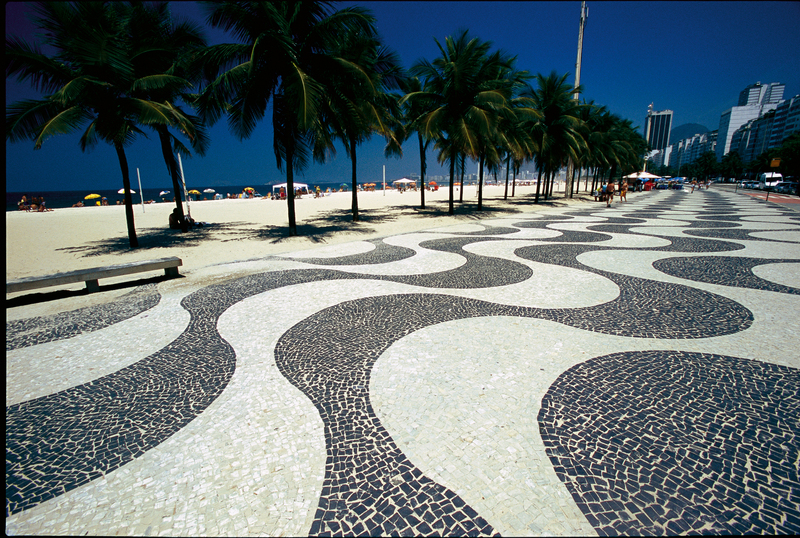 Flamengo: Flamengo is a residents’ beach with few hotels of note close by. 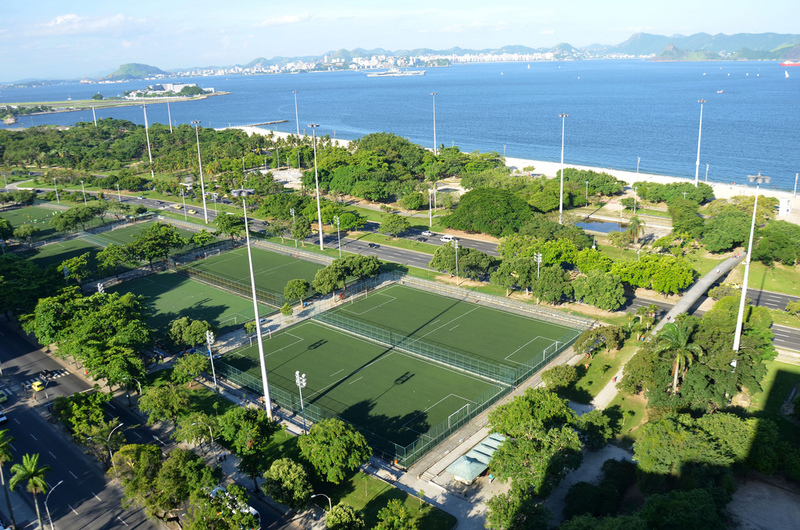 Just over a mile (1.7 kilometers) long, Flamengo Beach and the park are the result of Brazil’s largest landscaping project that reclaimed the whole Flamengo Park area from the Bay to make the largest urban park in the world. 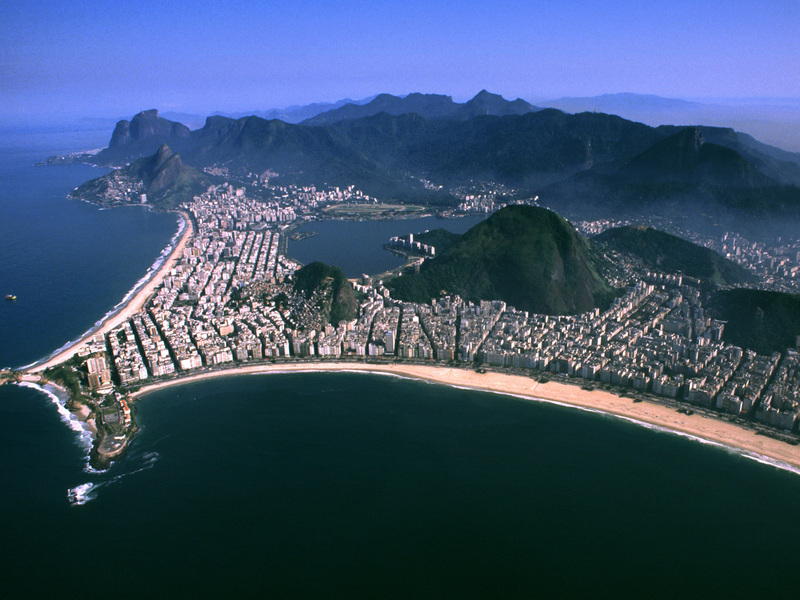 Without any firm tradition within the community, Flamengo is a beach for sport and sun bathing, swimmers preferring the beaches facing on to the sea, along the coast, and away from the polluted waters of the Bay. It was a key location to watch the Olympic yachting in 2016 and the park saw the marathon and cycling pass through. Botafogo: Similar characteristics to Flamengo, this half-mile (800 meters) of curving sand is more popular with residents of the area than outsiders, but still remarkably empty even at the weekend, and has been used in the past as the location for a number of free nighttime concerts. 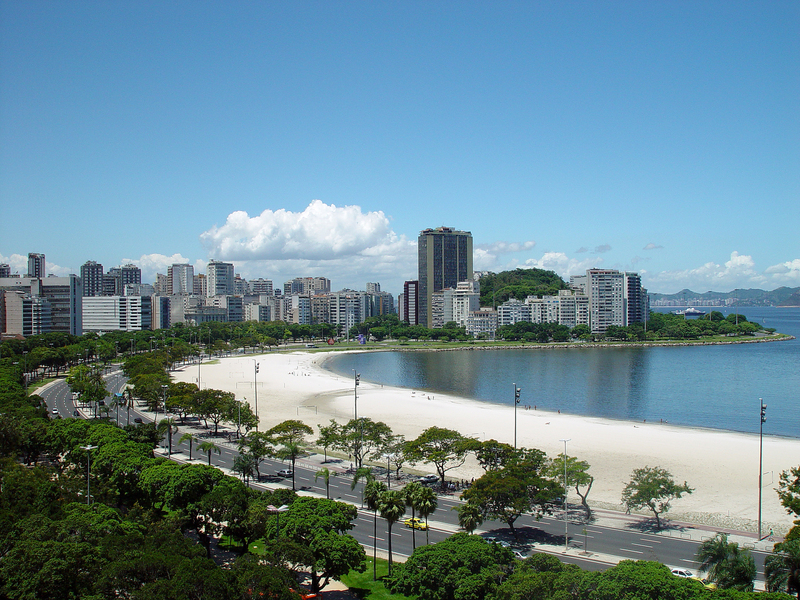 Urca: A small beach of less than 100 yards/meters that is used by the residents of Urca. Vermelha: The thick sand, not found on any other beach in the city, gave this beach its name, vermelha (red). 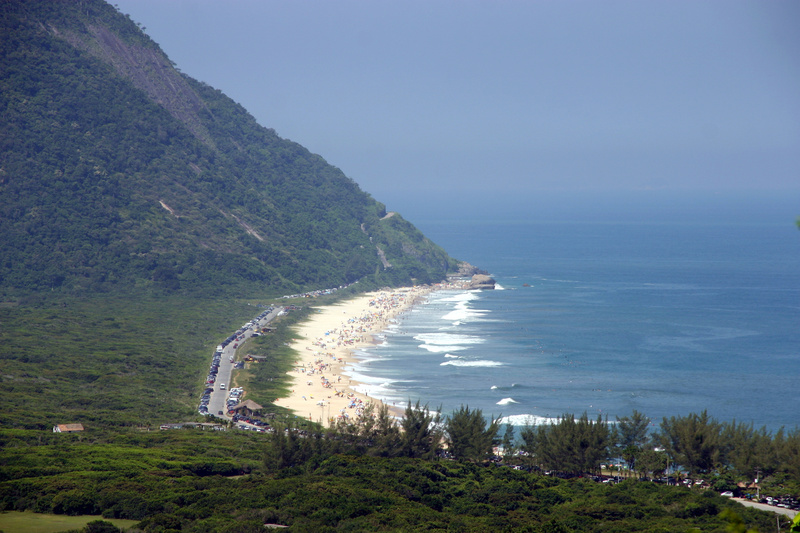 Little more than 245 yards/meters long, Praia Vermelha is situated below Morro da Urca and facing the sea. Normally sheltered by the headland from the South Atlantic swell, the beach is popular with swimmers. 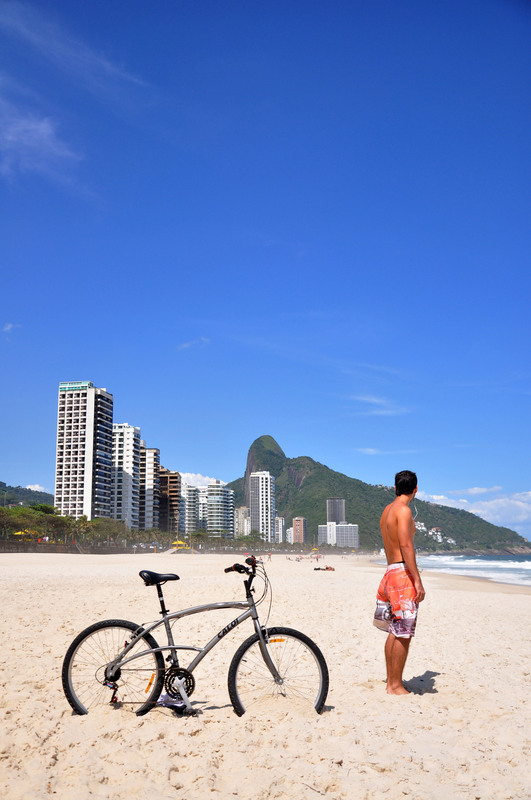 Leme: To all intent and purpose, Leme and Copacabana are the same beach, there being no physical break like the canal that separates Ipanema from Leblon, but for all of this, the Leme end of the beach retains its own distinct characteristics. Leme, which spreads just over half a mile (1 km), is more tranquil than its more famous neighbour, helped, no doubt, by the fact that it is a virtual cul-de-sac and the residential area behind only goes back three blocks while in Copacabana it stretches to six or more. Parking is easier in Leme and there are fewer hotels and many less bars. Leme’s landmark hotel is the Hilton (formally Windsor Atlântica and Méridien), which marks the beginning of Copacabana proper, but others such as the Windsor Leme Palace are also in the area. The beachfront hosts a number of good restaurants, the most popular of which, with tourists at least, is Mariu’s barbecue house. Copacabana: Copacabana, arguably the world’s most famous beach, stretches for more than two miles (3.4 km) from the Hitlon, on the corner of Avenida Princesa Isabel, in the east to the Fairmont Hotel (formally Sofitel Rio and rio Palace) and the Copacabana Fort in the west. The centre of Rio’s tourist trade, both national and international, Copacabana comfortably accommodates not only the thousands of visitors who lie on the beach each year but also the 200,000 residents who live in the 109 streets behind. Avenida Atlântica, which runs along the beach, is alive 24 hours-a-day and land marked by hotels: the towering Hilton in the east, the 30 story Rio Othon Palace in the middle, and one of Rio’s most luxurious hotels, the Fairmont, in the west. In between come other splendid hotels such as the world famous Copacabana Palace, a landmark in its own right. Then there are the beachfront bars and ever more sophisitcated kiosks that line the avenue and offer just about every type of international and ethnic cuisine, all available without ever having to change from your beach clothes. 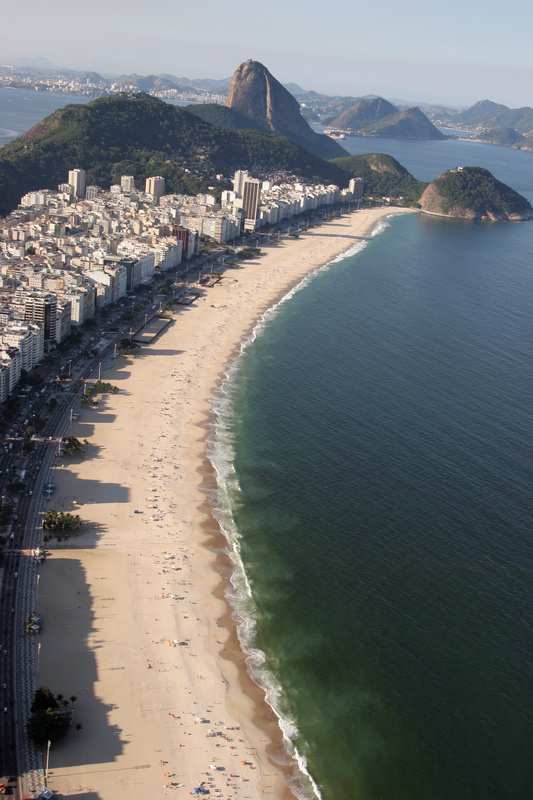 Wider than any other beach in Rio – so make sure you have some covering for your feet from the burning sands – Copacabana is the home of beach soccer, an event which can usually be viewed at any time of the day, and volleyball, the nation’s other sporting passion. Copacabana hosted the fan zone during the World Cup and many of the international broadcasters set up their studios with views down the beach. A number of Olympic sports took place in Copacabana inlcuding the beachvolley and the end of the cycling road race. Arpoador: A thin strip of 800 yards/meters of sand, Arpoador is tacked on to the eastern end of Ipanema and backed by a pleasant park. The sea, which is floodlit at night, is always rougher here and because of this Arpoador is the domain of the zona sul surf set. Ipanema: Nearly one and a half miles (2.2 kilometers) long, Ipanema is the beach of Rio’s beautiful people, and that little bit more civilized than all the others. 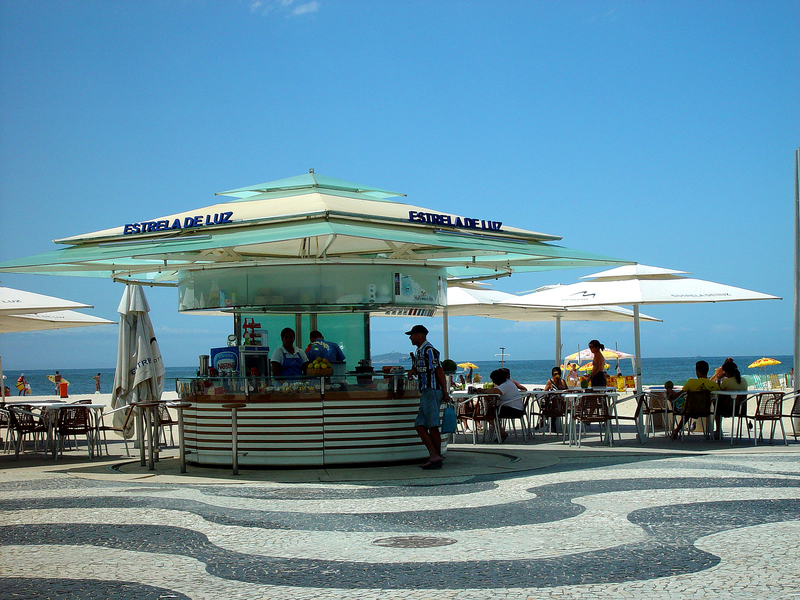 Less crowded, except at weekends, Ipanema is the beach to set the trends that all the other beaches follow. The bikinis are a little bit smaller, the girls that little bit lovelier. While the sun is up, the beach at Ipanema comes alive as the residents of Rio’s top district lap up the rays and take to the cooling waters of the South Atlantic. At night the beach goes to sleep except for the occasional game of soccer or the joggers and bikers who never seem to know when to quit. Unlike Copacabana, few hotels line the beach. Instead, expensive apartment blocks taken from the pages of Vogue magazine line the avenue. Ipanema is truly residential, so when hunger calls the residents don’t mind losing sight of the beach as they go in search of the area’s more intimate restaurants where lunch will be played out into the early evening. 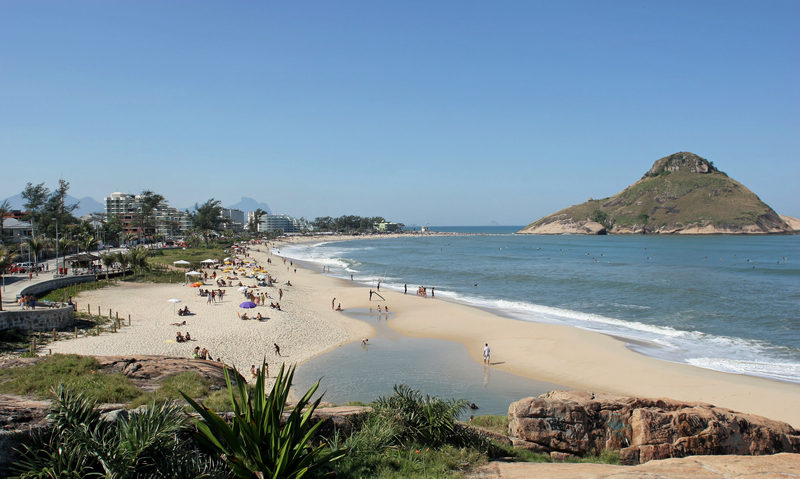 Spending a day on Ipanema Beach, especially at the weekend, is not an experience you will easily forget. Leblon: Separated from Ipanema by the canal at Jardim de Alah (Garden of Allah), that links the Lagoa to the sea, Leblon stretches nearly a mile (1.3 kilometers) to the west. With many of the same characteristics as Ipanema, Leblon is even more residential although no less crowded at the weekend, and rivals Ipanema as the city’s most fashionable. Vidigal: A small, pretty beach of some 600 yards/meters, Vidigal has, for all practical purposes, become the private beach of the Sheraton Rio Hotel & Towers that sits directly behind it. 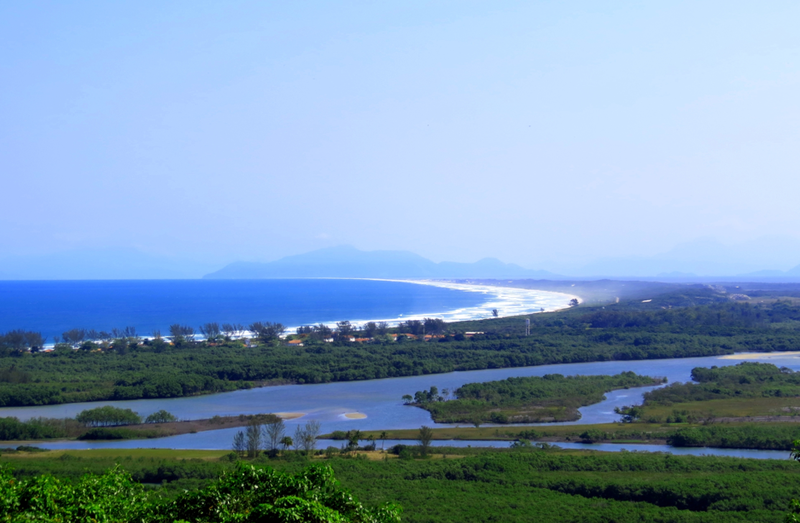 São Conrado: São Conrado, Gávea Beach or Pepino, as the trendy part to the west is better known, is home to the the iconic Hotel Nacional and the Pullman, the hotel that hosted the England team during the World Cup. It is also the landing area for the city’s hang gliders that pack the sky each weekend with their colorful kites. São Conrado is also home to the beautiful Gávea Golf Club. When looking for something to eat, the hotels or the restaurants and bars of the Fashion Mall are the best option. 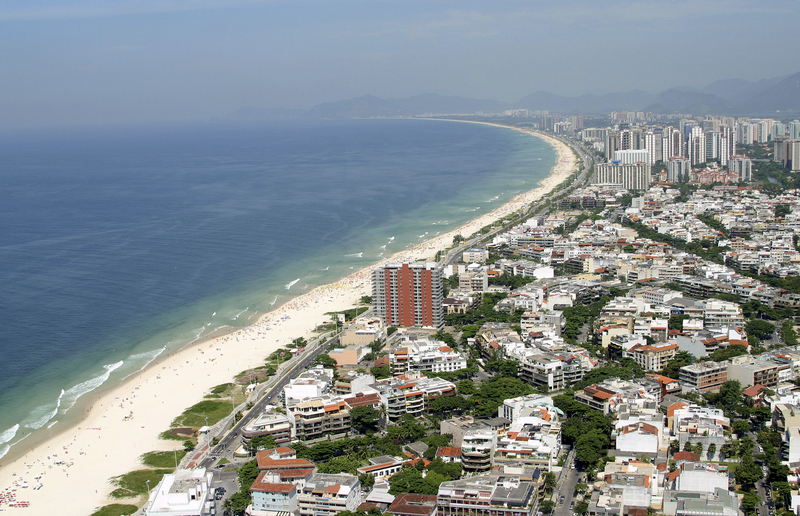 Barra de Tijuca: Stretching over 11 miles (18 kilometers) along Avenida Sernambetiba, Barra is Rio’s longest beach. While serving the residential area of Barra in its first four miles (6 kilometers), a mini-Copacabana, it becomes more deserted as you go along the coast where you should be able to find a spot to lie out, even at the weekend. 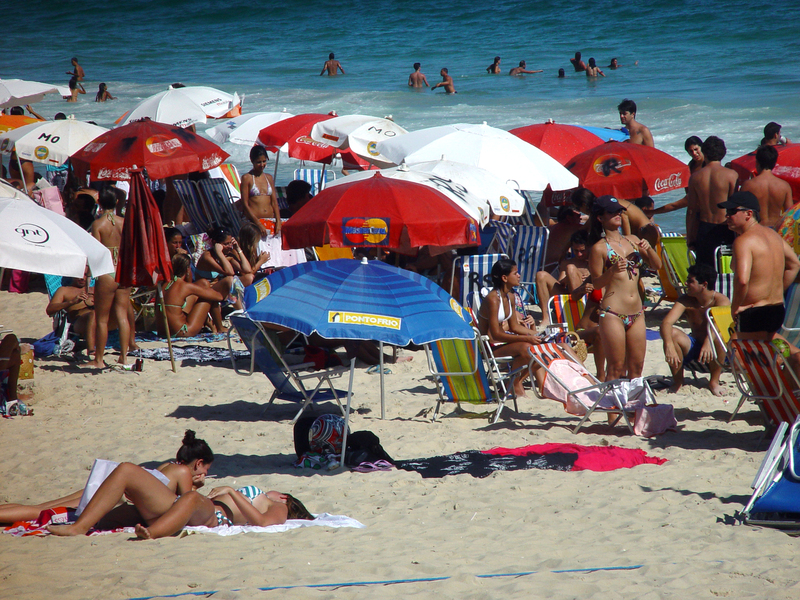 The lack of buses keep many people away from the better and less crowded stretches of Barra Beach, and that might include you if you don’t hire a car. Expect to find a cooling breeze on Barra any time of the year. The Brazilian President, Jair Bolsonaro, had his home on Barra beach prior to becoming president. Recreio dos Bandeirantes: A huge rock marks the end of Barra and here starts a stretch of sand of just over half-a-mile (1 kilometer) known as Recreio. Deserted during the week, Recreio fills up at the weekend, as it is the end of the line for a number of the bus routes from the north zone. During the week Recreio makes a pleasant change from Ipanema and Copacabana. 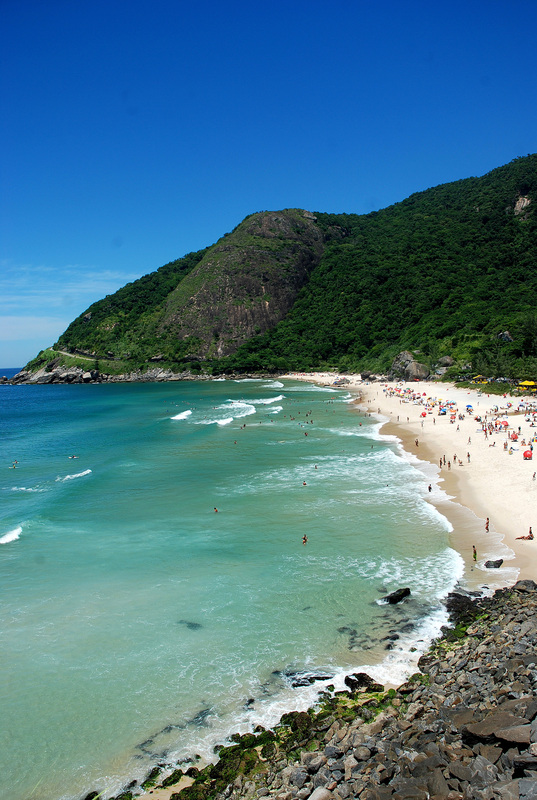 Because of the large rock, Recreio is sheltered for swimming. Do not try to swim around the rock, however, as you are likely to join a number of others at the bottom of the sea who have discovered that the rock is much larger than it looks from the shore! Prainha: 150 yards/meters long Prainha is a surfer’s beach like Arpoador. It is inhabited at the weekend by the young surfers and their followers, deserted in the week. Grumari: A forty-five minute drive along the beaches of Barra from Ipanema in good traffic during the week will take you to one of Rio’s more unspoiled beaches, Grumari. During the working week Grumari is often deserted, even at the height of the summer season, but fills up at the weekends with Cariocas looking for a variation from Ipanema and Copacabana, and who are willing to sit in the traffic. The beach has a couple of beach restaurants at each end that serve drinks, snacks and fuller meals, but otherwise the area is relatively unspoiled. If you visit Grumari you will have to go by car. Take the opportunity to drive on up the hill at the end of the beach. Just over the brow of the hill you will come to a shack restaurant, Point de Grumari on a tight bend in the road. Stop here and appreciate the excellent caipirinhas and a magnificent view over the Marambaia sand bank that stretches below far into the distance. Don’t bother to go in search of this virgin sand; it belongs to the navy. Point de Grumari is open daily from 11.30 am to 6.30 pm. 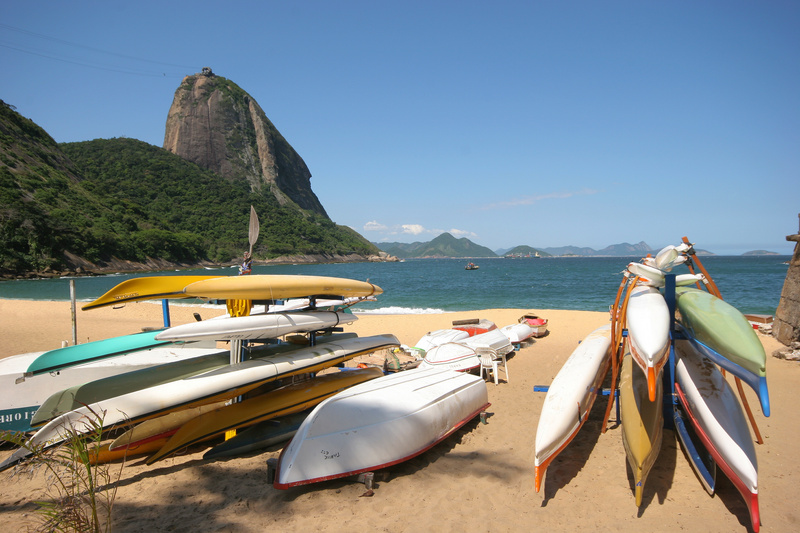 On every beach in Rio, but especially on Copacabana, Ipanema, Leme and Leblon, you will be surprised with the sophistication and scope of wares on sale. 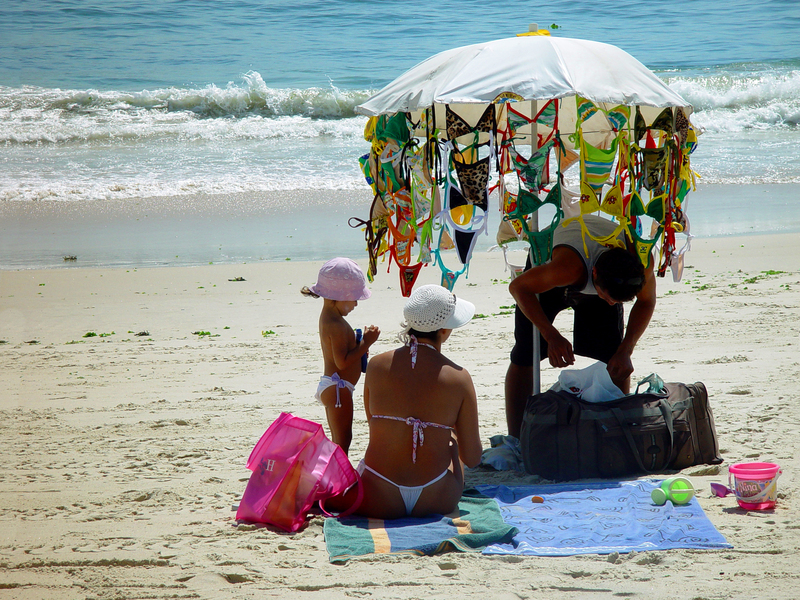 Ice creams, sun-oil, natural sandwiches, clothes, hats, kites, newspapers and even beer and caipirinhas can all be bought without ever getting up from your towel or beach chair. Beach salesmen are some of the more interesting characters you will meet during your stay in Rio so take full advantage of them and their good humor. Remember, the beach, and their patch of it, is their livelihood. Prices are normally fair and the products of good quality. If they weren’t, the local Carioca population would soon put them out of business. At the top of the beach are the smart kiosks, each with their own peculiarities, specialties and local following. All serve ice-cold beer, fresh coconut juice, and a wide variety of other refreshments and snacks, even full meals. There is only one trick to having a good time on the beaches of Rio and that is by being sensible. If you are sensible and stop and think before you act, you will keep out of harm’s way. Swimming: When you arrive on the beach stop and look around you. Are other people swimming? Is the red flag up? How large are the waves? Generally in Rio the waves are quite large, although even this can be an illusion as often they are breaking over a sand bank further out and are only a couple of feet high. Look and see where people are standing, this will show you where the sand bank is, if there is one. Once through the waves you only have to contend with a gentle swell, but watch the currents. 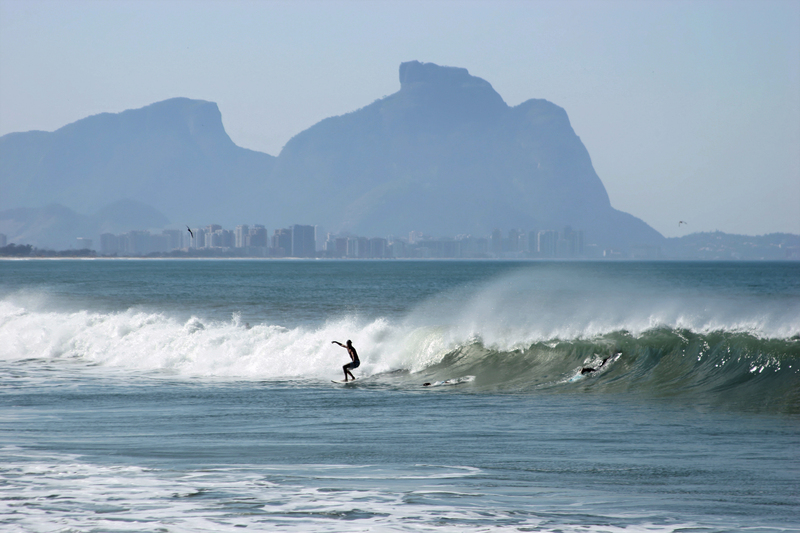 The currents in Rio tend to take you down the beach and not away from it. This is important because you will invariably end up coming out of the water further down the beach from where you entered. Remember to line up where you went in to the water, and presumably where your towel and friends are, with a building at the top of the beach. Buildings don’t tend to move in Rio! If you are unlucky enough to get into trouble in the water don’t panic. Rio has a good lifeguard service that keeps a constant watch on swimmers from points along the beach, support boats and helicopters. If you get into trouble they will come and help you. The surfing community also act as unofficial lifeguards and will always come to the help of any swimmer in distress. Sun: Don’t forget that Rio is a tropical city, a fact that can easily be forgotten when you are being cooled by a pleasant breeze off the sea. If you end up burning yourself in your first few days you will ruin your holiday and could end up in a hospital. Listen to people who know, the residents, and stay in the shade for your first few days making sure to cover the top of your head when the sun is at its highest. Drink plenty of water as well, it is all too easy to dehydrate. Keeping What Is Rightfully Yours: The easiest way to lose your belongings in Rio is by taking them to the beach. 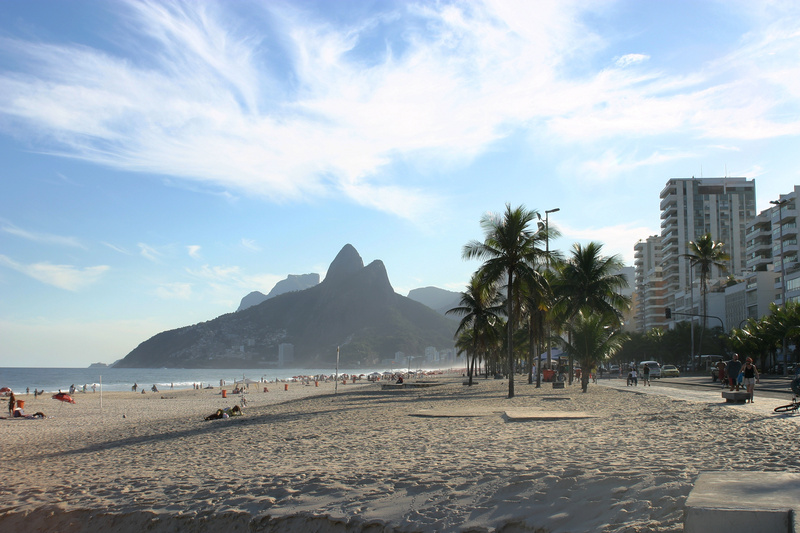 You will often hear it said that Rio is a city with a high crime rate, and while this is true, the visitor is probably to blame for eight beach robberies out of ten. It may seem incredible, but every day in Rio a good number of visitors go to the beach laden down with cameras, iPads, tablets, iPhones, and all their holiday money, credit cards, passport and plane tickets. They sit on the sand showing the entire world and his brother exactly what they have with them and then go in swimming leaving all their valuables unguarded on the top of a towel. And surprise, surprise, when they get back, the valuables have gone walk about, never to be seen again. Would you put your wallet and camera down in a busy street in New York, London or Paris, then walk around the block and still expect them to be there when you get back? Of course not, so why do it in Rio? Is it hardly surprising that the staff at hotels and the local police show little sympathy to such people. Two times out of ten, however, the robbery is premeditated and the visitor is set up as the white skinned tourist sticking out like a flashing beacon on the golden sands. This is how the “sting” normally works. Early on you will be spotted by a band of youths, the same band who helped take your camera and your wallet for a walk the day before. But today you are smart, or so you think, you have hidden your valuables in your bag. But you forget that they saw the camera when you used it to take a photo of the bronzed beauty that went by, and didn’t you show them your wallet when you bought an ice cream? If you are sitting in a group you will most likely be quite safe but, once left alone, ironically to mind the bags while the others go for a swim or walk, you will be approached by a friendly looking lad or girl who will normally try one of three approaches. They are: a) ask you for the time. b) ask for a light. c) comment on what you are reading. Your first reaction will be to panic – you don’t think you can answer the question and you have forgotten the phrase “Eu não falo português” (I don’t speak Portuguese). During your panic another youth will have approached from the other side where the bags are – get the picture? – grabbed them, and run. Simple and sweet, it rarely fails. We appreciate that you don’t want to be paranoid about every friendly Brazilian who comes along to talk to you, and they will, so avoid problems by keeping your bag in view at all times. Of course, the solution to the problem is so simple, it is ridiculous. Don’t take valuables to the beach. If you do, stay close to one of the police tents or the security guards from the major hotels. Remember the byword is “be sensible”, look around and see what the local Carioca takes to the beach and how they behave.